In 1988 three unarmed IRA members were shot dead by SAS forces in Gibraltar. Shortly after, a documentary entitled “Death on the Rock” controversially suggested the deaths could have been part of a ‘shoot to kill’ policy. 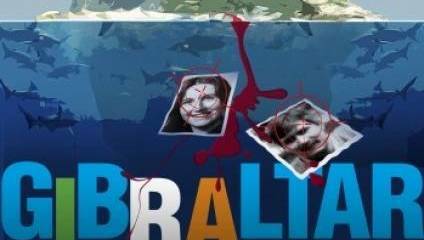 Precarious eyewitness accounts and corrupt journalistic approaches followed, birthing a scandal that 25 years on media law expert and legal manager Sunday Times Alastair Brett and Playwright Sian Evans have culminated in Gibraltar. Arcola Theatre will host this unyielding exploration into what really happened on that fateful day, offering a play devoted to the pursuit of truth within a world of spin, flawed accounts and government cover up. London Calling: What was it about this particular story that struck you? Alastair Brett: There is a well-known saying when it comes to political propaganda: ‘get saturation coverage for your story as soon after the controversial event as possible. Once it has gone out the damage is done. Even when the true facts come out the original damage is what sticks’. Thames Television’s controversial but award winning documentary on the Gibraltar shootings, Death on the Rock, clearly suggested that the Gibraltar shootings could have been part of a ‘shoot-to-kill’ policy and the troops were dispensing summary justice to terrorists while they were trying to surrender. These hugely contentious charges were broadcast to 6.5m viewers through the strong and clear testimony of one female witness whose account later transpired to be extraordinarily wrong. How and why the shootings took place in Gibraltar as they did and then how and why this account was broadcast to millions of viewers is why Gibraltar is now being staged exactly 25 years after the shootings. Was this account of the shootings the apogee of the above saying about saturation coverage following a controversial event? And just how good was the journalism surrounding the television programme and the press backlash that it caused. LC: In light of recent media scandals such as the Leveson Inquiry, do you feel it’s important more than ever to reflect on the issues that Gibraltar raises? AB: Yes. Journalism is all about the truth and pursuing the truth. As was apparent at the Leveson inquiry too much journalism is driven by the effect it will produce – the splash headline and the sensational report. Journalism in its proper form is ethical, decent and honest, not just about the ‘exclusive’ and creating an effect. The play contrasts ethical journalism as against sensational journalism and highlights the difficulties of how even good journalists can obtain information without having to lower their standards because they are mixing with Costa crooks who want to be paid for information. LC: Was there a particular interest in exploring the area of Gibraltar as a setting, which is known for years of criminal smuggling? AB: Yes, Gibraltar exudes the full panoply of Colonial Rule and is cheek by jowl with the Costa del Crime. It is exciting, hot, cramped, controversial and lends itself to the high drama of something like the Gibraltar shootings and the high drama of drug smuggling which has gone on there for years. LC: Can you tell us how you approached a story with varying perspectives and angles, whilst trying to offer an unbiased viewpoint? AB: As a lawyer I was fascinated by the key account of the shootings on the Thames Television programme, Death on the Rock. I managed to obtain a full official transcript of the Coroner’s Court inquest and realised just how wrong this key Death on the Rock witness’s account was. Because this woman was married to a drug smuggler it raised endless questions about her testimony and her credibility: could her account of the shootings be divorced from husband’s activities and her own background? Because I became involved in litigation, I had to conduct an in depth inquiry into what had happened and been broadcast and published about the shootings and this witness’s account of them on television. I was working very closely with a journalist over a number of years and we ended up conducting an in depth investigation into all aspects of the shootings and the journalist coverage of them. I was also being closely advised by major legal figures such as the late Lord Gareth Williams and then George Carman QC and Heather Rogers, now QC and Recorder. It was a rare case of a lawyer working very closely with a journalist, and discovering the excitement and difficulties of obtaining reliable first-hand evidence of what might have caused an extraordinary account of the shootings to have been given to Thames Television. LC: What inspired you to turn to playwriting and how has your extensive knowledge of media law and journalism affected the way you approached the story? AB: Being a libel lawyer and having worked for 33 years in broadsheet journalism, I had direct legal experience around the time of the shootings of the litigation which was thrown up by the press backlash against the Thames Television documentary and its key witness; even then this led to fierce journalistic battles and in-fighting within the media. More recently the Leveson Inquiry has been examining the culture practices and ethics of the Press which I had had a foretaste of in 1988 but in the context of highly controversial shootings. A combination of the Leveson inquiry and the research and information I had conducted back in 1989 right through to 2001 inspired me to bring my knowledge and research to the stage in the play Gibraltar. LC: How has it been converting these fractured stories and events to script? AB: Hugely time consuming. Although I have written pretty extensively for The Times and The Sunday Times over many years, play writing is a completely different process and medium. I have therefore had to obtain help in NOT dropping huge amounts of information on an audience from a great height and suffocating them in the process. Playwriting is all about ‘being brief’ and cutting up information into bite sized pieces of dialogue. Without the help of Siân Evans, a professional scriptwriter from UEA, I would have been lost. LC: The play merges factual documents and reports with fiction. Do you feel this, in a way, is a reflection on the way information can be easily mishandled and manipulated through different platforms? AB: No, not at all. Any fact-based play is infinitely more complicated than something that is purely fictional. Accuracy is of paramount importance particularly where there might be a libel element in what is being written. The accuracy needed in a work like this at the extreme end of the spectrum and any suggestion that you can ‘mishandle or manipulate’ something in this setting is totally misconceived. Moreover, any speech or lecture only comes alive when the speaker incorporates live examples and real situations into what he/she is talking about. The Gibraltar shootings threw up endless questions. That in turn lead to a myriad of different journalistic approaches and techniques to elucidate what had happened or in the case of some tabloids how an Editor’s thesis could be supported by carefully selected facts. Gibraltar is using a factual background with fictional dialogue to analyse these different approaches and to what extent a pursuit of the truth can be overtaken by political expediency. Parts of the play particularly those parts, which form the basis for comment and/or criticism quite rightly, have been taken from the Coroner’s Court inquest or the programme itself or police/court reports but the comment always has to be fair and honest. LC: From your own experience in media, Is unpicking the dubious practises and ethics of journalism something that is important to you? AB: Yes. I started my career in the media in the days of Harry Evans and the late William Rees-Mogg. Harry Evans made it clear to me that newspapers should be ‘on the side of the Angels’ – see Thalidomide and Harry’s crusade on that front. I have always believed that and am eternally grateful to him and others for their principled and ethical approach to journalism what is now often referred to as ‘truth speaking to power’. LC: What can we learn 25 years on from this controversial event and the aftermath that ensued? AB: Even if just a few people come out of Gibraltar arguing over whether Nick was right or wrong to pursue the truth and try and work out the motives for such a wrong account of the shootings, I may have achieved something. I genuinely want people to weigh up the pursuit of the truth against a fatally flawed account of the shootings which nevertheless may have had a beneficial political effect, it stopped Margaret Thatcher and the political ‘hawks’ in her Cabinet sending the SAS in to make an ‘arrest’ in future. The witness’s account on Death on the Rock was terribly wrong BUT was Nick right to pursue the motives which may have lain behind such a wrong account if it actually gave strength to the Doves in the Northern Ireland Peace Movement and helped lead to the Good Friday Agreement? In short ‘does the end justify the means’ a question and dilemma we all face at one stage or another in our careers and particularly affects lobby correspondents and those working in complex areas such as crime, medicine and religion. Gibraltar opens at Arcola Theatre from 27 March - 20 April. For more information and to book tickets please click here.